The definition of passive aggressive behavior might be your first step to freedom and change. Passive aggressive behavior in a relationship can start to feel like a trap or a prison from which you can never escape. You don't have to live like that! Understanding what is going on and being totally aware of yours and your partner's behavior will give you many more opportunities to choose and make smart, healthy decisions. You don't have to be afraid of how you really feel. You only need to know how to express your feelings in direct and healthy ways, with wisdom and kindness. Get started now, and begin creating open, honest communication with your partner, friend or spouse. You can do this, using the brilliant tools of your own mind. Everybody probably has their own idea of what passive aggressive behavior is. Awareness and understanding are the first steps, so let's make sure we're on the same page about this important topic. "Passive-aggressive behavior, a personality trait, is passive, sometimes obstructionist resistance to following through with expectations in interpersonal or occupational situations. It is a personality trait marked by a pervasive pattern of negative attitudes and passive, usually disavowed resistance in interpersonal or occupational situations." It's just not honest. It's hidden and "behind the scenes," so most people being passive aggressive won't admit they're doing it. It is often unconscious, meaning passive aggressive people are not necessarily mean or abusive. 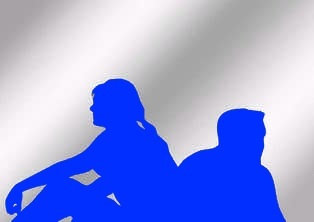 Passive aggressive behavior comes out when a person is not being open and honest with healthy anger in communication. It can be either verbal or nonverbal. 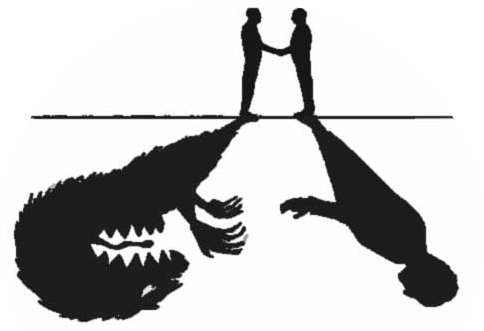 It can just as easily be something a person does or says, the point is it is putting the other person down somehow. It is often veiled or hidden as a "joke," followed with "I didn't mean anything by it. You're too sensitive." This is familiar to a lot of folks. I think this kind of list is very helpful for understanding the definition of passive aggressive behavior. It can also be helpful to learn more about the passive aggressive personality, and some of the common patterns that show up. Now let's look at some solutions to this type of problem! Now as we move beyond the definition of passive aggressive behavior and begin looking at solutions, the most important thing is how you take care of yourself. That' right, whether you're the one with passive aggressive tendencies, or if it's someone you're close to, the quality and integrity of your relationship with yourself is the solution to the problem. Make sure your own anger is healthy. Educate yourself about healthy marriage and expectations in relationships. Learn all you can about healthy anger and how to communicate effectively when angry. Use the power of your mind and a positive focus to shift your attention away from problems in relationships toward what is good, right and working in your life. Clear, straight-forward communication is the key to dealing with passive aggressive behavior. You have to get out of the victim position and take full responsibility for your emotions and your behavior. So, as you can see, the definition of passive aggressive behavior is not enough, but it's a good starting point for the change you're looking for. You can become your own best anger management resource! 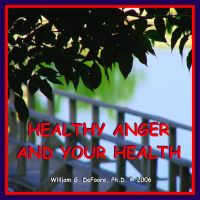 Preview the audio program below, Healthy Anger And Your Health. Get your copy as a CD or audio download, with a full guarantee. These 2 anger management CDs will help you to tap into the incredible healing power of your anger and all of your emotions. Healthy anger doesn’t look, sound or feel like anger as we’ve come to know it. Healthy anger is tremendously powerful energy that fuels effective action. Make your emotions work for you instead of against you in this powerful, uplifting and informative program. I hope you have enjoyed this page providing the definition of passive aggressive behavior and beyond. Be sure and visit the rest of our web site for our other resources!